M.I.C. Gadget today is advertising a new triple interface 30-pin connector for iOS devices. Instead of swapping out the USB and SD card slot with the iPad camera connection kit, this adapter puts it all together. (It even adds a microSD card slot). 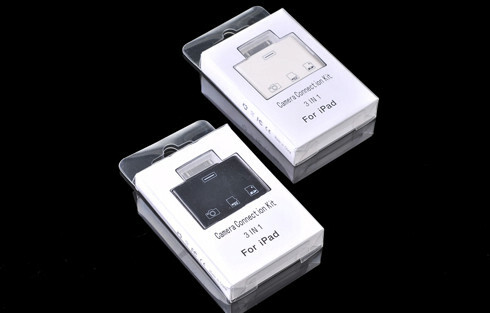 The convenience will set you back $25 (less than Apple’s iPad camera connection kit) and is available in black and white.